The House structure at Brisbane Girls Grammar School is the bedrock of the School’s unique and comprehensive system of care. It provides a strong foundation for bonds to be created among girls across all year levels. 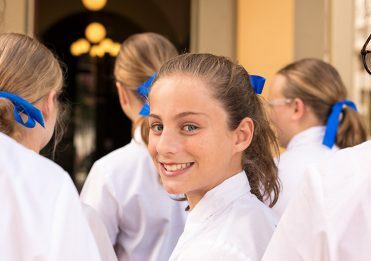 Combining a vertical and horizontal pastoral care framework, the Houses offer students much more than groups formed for competition—friendships can blossom alongside study, and barriers between year levels are broken down as the older students help their younger Grammar sisters to find their footing in a secondary school setting. Heads of House and House Group teachers know and support each girl individually, and students identify strongly with their Houses’ colours, mascots, and unique culture and traditions. Events such as House Parties, the School’s annual Open Day, Interhouse activities and fundraising for House charities build a sense of House pride, belonging and shared purpose among girls across the School. Named after Miss Sophia Beanland, former Headmistress of the School from 1882 to 1889, the Beanland Bears celebrate Miss Beanland’s revolutionary spirit. The England Eagles are named after Mr John Edwyn England, Trustee for 20 years and Chair of the Board from 1952 to 1961. Gibson House’s mascot is the Gladiator, representing the House’s strength and agility. The House is named after Major John Lockhart Gibson MD, Chair of the Board of Trustees from 1929 to 1940. Griffith House’s namesake, Sir Samuel Walker Griffith, served as Chair of the School’s Board of Trustees for two terms, and was Premier and Chief Justice of Queensland and first Chief Justice of the High Court of Australia. Griffith students celebrate his leadership and use the Spider as their mascot. Named after Dr Konrad Hirschfeld, Chair of the Board of Trustees from 1963 to 1976, the Hirschfeld House students foster a tight-knit ‘tiger’ family in recognition of their mascot. Dr Hirschfeld’s daughter, Emeritus Professor Dr Mary Mahoney AO served as Deputy Chair of the Board of Trustees for 12 years (2006-2018). Lilley House honours Sir Charles Lilley, former Premier and Chief Justice of Queensland, Trustee and founder of Brisbane Girls Grammar School. With the Frog as their mascot, Lilley students often refer to their house as ‘the green family’. Miss Margaret Annie Mackay was a former pupil, teacher and Headmistress (1916–1924) of the School. The Mackay Angels are renowned for their spirit and determination. The School’s first Headmistress (1875 to 1877), Mrs Janette O’Connor, gives her name to O’Connor House. O’Connor House students rally behind the Octopus mascot. Woolcock House is named after Mr John Laskey Woolcock, Chair of the Board of Trustees from 1906 to 1929. Fondly referred to as ‘Woolcockatoo Warriors’, the House has an indomitable spirit. 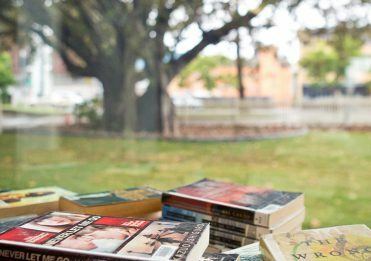 The names of the nine Houses honour individuals who have made significant contributions to the development of Brisbane Girls Grammar School over its 144-year history. 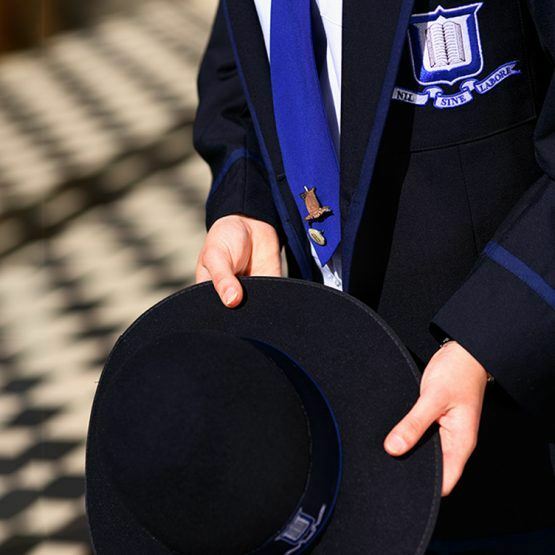 Learn more about the individuals the School’s Houses honour.